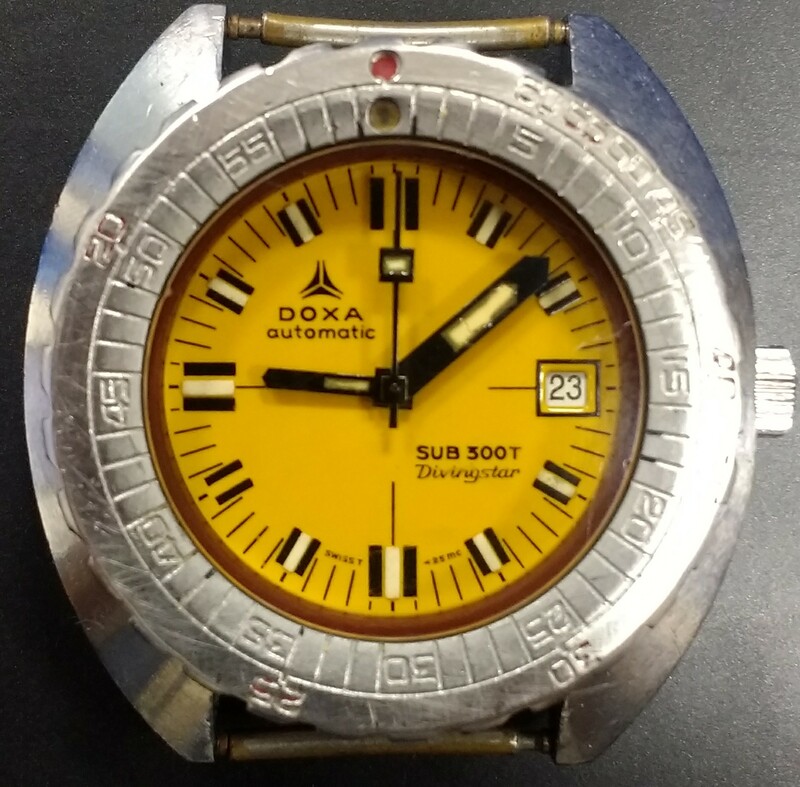 For sale it’s a wonderful and iconic Doxa sub 300T Divingstar in very good condition. There is plenty of information on these fantastic watches. Attesting their robustness and functionality, this model (300T) was used on the Calipso by the Custeau crew and also by the Marine Nationale. The Searambler is the rarest of the series with much fewer units produced and hence less surviving to these days. This is a very rare opportunity to own another of the classics in my humble opinion and a very honest example. As such, I am pricing this wonderful watch at a sharp 3.495 euros.